Are you that individual who appreciate challenges from others so as to gauge your competence? Do you enjoy games that come along with the modern technology? Then Flaap application which was developed early in 2017 is a perfect match for you. This gaming application allows you to entertain yourself by controlling a small bird through several tubes which you are meant to avoid at all cost until you reach your top spot. You begin by creating a nickname after downloading the app. This is to allow other multiple players around the world using this gaming app to know how skilled you are in this game and compare themselves against you. Since downloading this app in my phone, I have enjoyed every minute of it since I rank among top skilled players around the world. Try it today and discover the fun. The main features of this application are well highlighted in this review. Monotony makes an activity boring since one is not able to gauge how best they can be. This does not happen with Flaap app since you play the game along many other players around the world and you can actually monitor how they are progressing thus up your game. You may be asking yourself whether your device must be android to enjoy this game. The answer is no. You can download this game on your android device,Apple iOS or even window phone devices. I have tested it with my Samsung galaxy as well as my wife’s iPhone and the experience has been wow. The game is made more fun by the fact that the different birds in the game each has its own speed. You are thus the determinant of how fast your bird will move compared to other birds based on how well you are with the control. Good control means fabulous speed for your flappy bird. 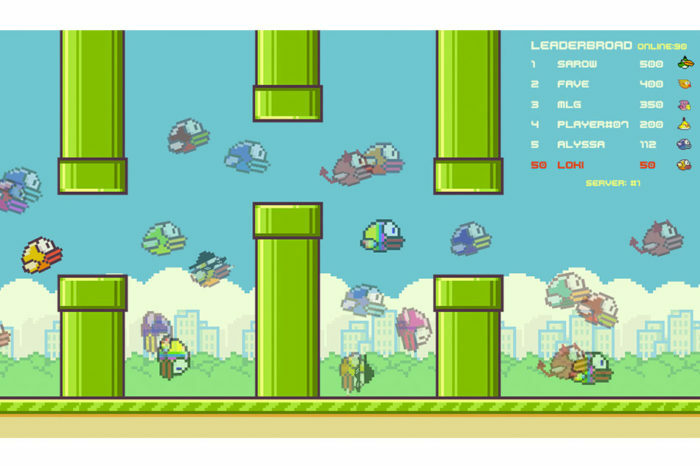 If the bird moves at high speed and you lack control, it hits the annoying tubes thus low scores. The Flaap app allows you to interact with players around the world by allowing you to post the highest score you score and the bird level. Other players are able to compare their scores to yours. This is more than awesome since one feels as though it is a real challenge they are engaging in. -You can download and use it from different devices thus high compatibility. -One can interact with other players around the world making the game more fun. -There is no monotony since the game brings on board multiple players. -The app download is very fast and the installation is easy. - The control for the flappy bird is at times difficult to handle when the bird is moving at high speed. This gaming application is worth sampling for any individual who enjoy mobile gaming. It is not only fun but also builds one’s skills since it require high level of keenness and control. The fact that you can compare your scores with other players around the world makes the gaming app even more interesting. Download it today, install and experience the fun yourself.